After making an important discovery, your archaeologist fiancé, Michael, is kidnapped in Prague. Clues indicate that the kidnappers want whatever it is he's found and will stop at nothing to get it. Your search for Michael will reveal far more than you could have possibly imagined as you learn that the very fate of the world hangs in the balance! Explore richly detailed and animated scenes set in Prague, England and Mexico. 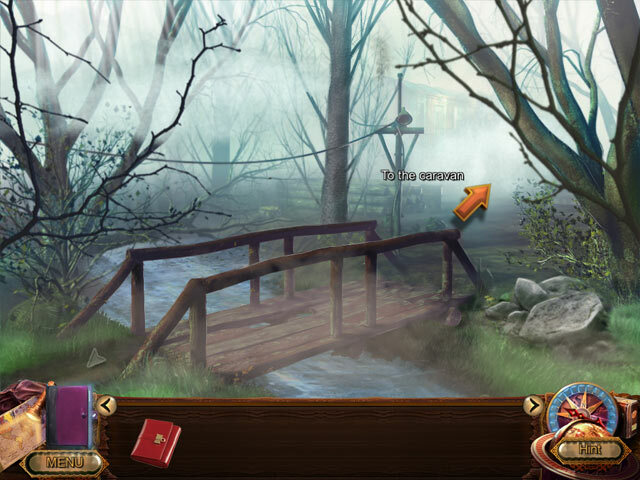 Solve fascinating challenging puzzles, uncover earth-shattering secrets hidden in a forgotten mine and tap into your inner heroine in Lost Civilization, a magnificent Hidden Object Puzzle Adventure. Lost Civilization is rated 3.0 out of 5 by 45. Rated 5 out of 5 by llubavi from Loved it I'm so sick of princes and princesses, witches and dragons and the whole fairy nonsense that it is nice to play something different for a change. Loved the story, archaeology, aliens, German bunkers, the 12th planet and Mayan secrets... just my cup of tea. It's an older game, but I enjoy those older games. Newer games over do it with the morphing objects, collectibles and other useless stuff that distracts you from the game. I hope developers will make more interesting games and give us a break with the princess stories. I graduated from those when I was 8. Personally I prefer more mature stuff, detective stories, thrillers, even every day life stories. And this was a good one. Rated 5 out of 5 by Annette_S from I wish there were more games like this. I like this game pretty well. Finding games that I like is like -- well, imagine trying to find a movie you like and all you find are "Fast and Furious" type movies -- this is what happens when the male audience dominates a mode of art, I guess. Rated 5 out of 5 by smilingsun72 from 3 A's...Adventure, Aliens, and Abuction! Though this game is pretty much straight forward, it's a great game. The story is interesting, the graphics are excellent and the music is good. There is some basic voice over but most of npc's parts have to be read. The puzzles are mostly helping others out to get items needed and a variety of HOs scenes that aren't just search and find. All and all this game is great for anyone just wanting a laid back fun game. And at the end it kind of hinted at possibly another but who knows! Rated 5 out of 5 by beate2359 from Engaging I thought this game is more engaging, it kind of makes you want to continue in the adventure. 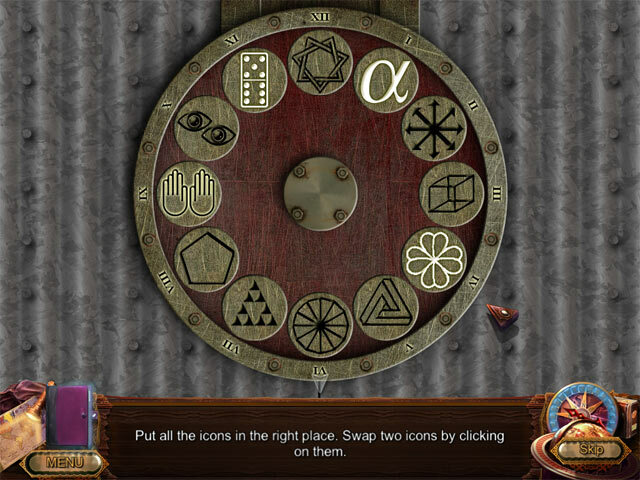 The puzzle games are more interesting, they get you to put things back, rather then just finding them. I was quite pleasently surprise it. Rated 5 out of 5 by princesscalicat from Great Game I really loved this game.. I was glad to get away from all the magic story lines big fish puts out as well. This was a great change!!! and I loved the story. Rated 5 out of 5 by FORTUNATUS from Yay, a plot! I played this as an adventure game at one time.... it is still at least as excellent as ADV/HOG.... and, yes... some games you need to do a little reading [gasp], lol. In this case, it doesn't take away from the game at all, it actually ADDs to the game because it helps tell a story with a beginning, middle and end. Graphics are now better than the original game [since it was an original point and click adventure]. Granted, the graphics are NOT the ornate detail with bells and whistles typical @ BFG; yet, again, due to the fact there should actually be the plot that flows throughout the game, there is no great need for the overly embellished screens because one can become enmeshed in the flow of the story itself. Oh, and actually, overall, the graphics are quite colorful, clear, and interesting. Gameplay in this remake is somewhat simplified since it's very guided even on the most difficult setting, yet the basic premise of the original game is still good so far as I've played. I think it's a great idea to dust off and recreate some of the older games [they were GREAT]. Overall, I enjoy adventures better w/o H0G, yet if it pulls in more fishies for the fun of the play.... this will be a plus! Either way? I LIKE it and will buy; hope you give it a chance and if so, I believe you may enjoy it at least as much as I have both times through!! : ) Enjoy. Rated 5 out of 5 by hibc60 from definately give this game a chance I plaid the demo and bought the game. first it is great to have some new games come out not as collectors and second I don't understand the complaints. the game play was fine, story line I found quite interesting, I want to know if we find this mystery planet, the hint button worked great. does not seem to be a map and don't know if that is a problem but so far it was not. I don't use sound so can't rate that but I recommend this game. Rated 5 out of 5 by pennmom36 from Searching For Alien Civilization Evidence! This is a really good large file game with an excellent story about the search for evidence of a 12th planet with alien life and technology that the Germans were trying to acquire during the war. This isn't your typical HOS adventure but it does have enough familiar traits to make it easy to play. There is a lot of dialog reading and it is important to read because those are your basic instructions of where to go and what to do. There will be inventory items to pick up and use along the way and you will need to interact with things just as you would in real life such as answering the phone, pushing doorbells or intercoms. There are interactive HOS some are list finds some you need to place items back into the scene and some are find a certain number of an item. They have done a very nice job of making the player feel like they are actually in the game. The only downside in that at times the game moves a bit too slow but the story line keeps your interest, enjoy! Rated 5 out of 5 by lovely62 from Great Game I played for about 20 minutes and i got the game, loved this game graphics and sounds was awesome even the story line was interesting..Plz give the game a chance you wont be sorry.. Your archaeologist fiancé has been abducted in Prague! 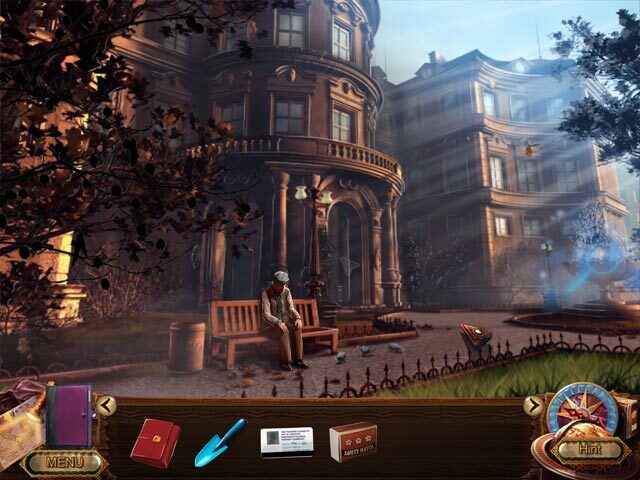 Unravel an ancient mystery and save humanity from destruction as you rescue him!